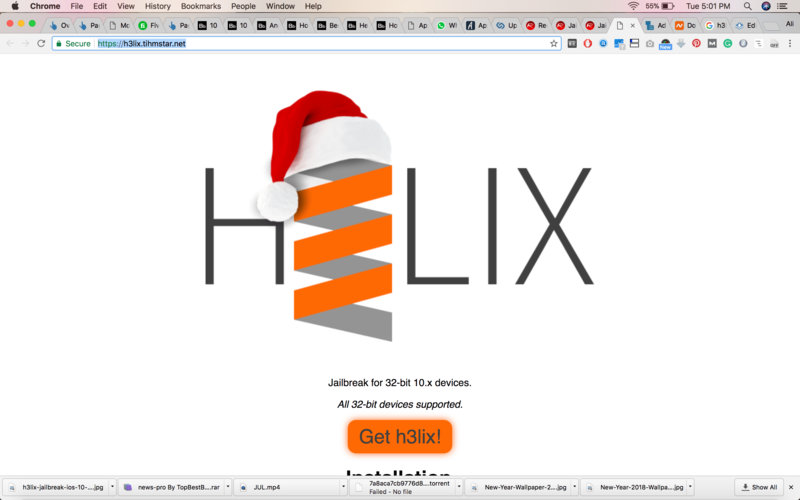 Jailbreak iOS 10.3.3 Using h3lix. Good news for iOS users who are running iOS 10.3.3, You can Jailbreak iOS 10.3.3 Using h3lix. Heed the following instructions to perform the Jailbreak process. As we have told you before that the first public Jailbreak: iOS 10.3.3 h3lix is out now. You need to know few things before you Jailbreak your device. First, it’s a semi-untethered and only works on 32-bit devices. Moreover, you have to sideload Jailbreak IPA file after 7 days. Also, you have to put your device into Jailbreak mode every time when you restart your device. You’ll be wondering why I need to Sideload Jailbreak IPA file after 7 days because most of us are using free Apple developer ID. Those who have paid Apple they will enjoy the privilege, they don’t need to sideload Jailbreak IPA file and nor resign. Now let’s start the process of Jailbreak iOS 10.3.3 Using h3lix. Heed the following instructions below as stated, Please do not try this process on 64-bit iOS 10.3.3 devices. Step1: Download h3lix jailbreak for 32-bit iOS 10.3.3 for here. Step3: Make a complete backup of your device and download iOS 10.3.3 IPSW file for your device. Now connect your device to PC and Restore it to iOS 10.3.3 using iTunes. Click Here. Step4: Launch Cydia Impactor and connect your device using the USB cable. 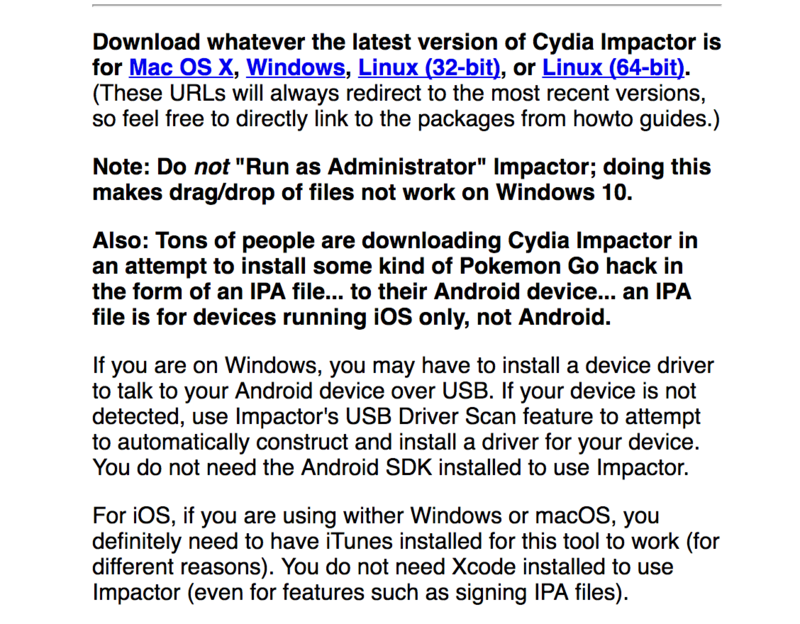 Step5: Now you have to Side load Jailbreak IPA File using Cydia Impactor. If you don’t know how to Sideload IPA files on iOS follow the steps in our guide. 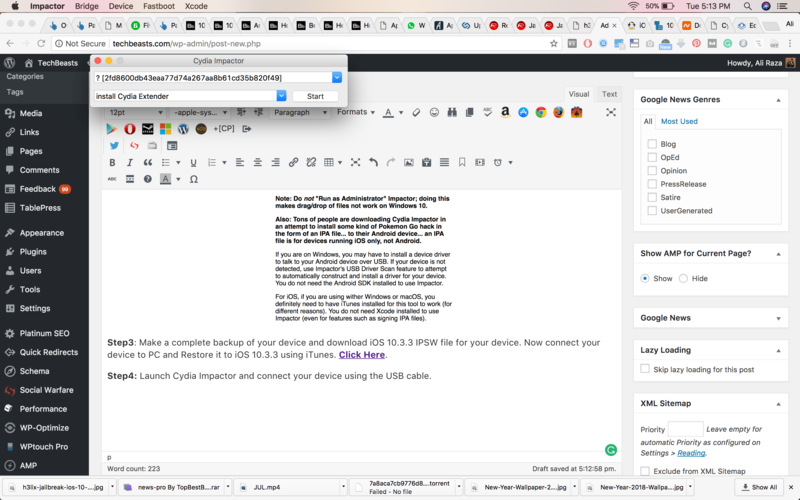 How Sideload Apps on iPhone, iPad and iPod Touch. Step6: Once you have sideloaded the Jailbreak File, launch the h3lix jailbreak app. Step7: Press Jailbreak in the center of the screen and let the magic happen. Step8: After the Jailbreak process is finished, your device will respring and Cydia will appear on the screen. Step9: Now keep that in mind, if you restart your device you have to Re-Jailbreak your device. Open h3lix jailbreak app and Tap Jailbreak button. In order to Keep Jailbreak on your device, every time you restart your device you need to follow all the 9 steps again. Also if you are using a free Apple Developer account then after 7 days you have to resign and re-jailbreak by following instructions in Step 5. That’s all. You’ve successfully Jailbreak iOS 10.3.3 Using h3lix.